I have very strong concerns and feelings on the topic of this property being up for rent to parties of up to 16 people through Airbnb, home away, and VRBO. I do not want short term renters on the same block that my kids play on . We live on Carl CT. I know Ft Mitchell and Ft Thomas have decided to not allow short-term rentals. If there are concerns or questions the city council has, can we please consult them? They've obviously done their due diligence and decided that short term rental properties were not right for their communities for a reason. The issue you submitted on Edgewood Engage has been resolved. Thank you again for being a part of making Edgewood a great place to live, work and play. Thank you for the information and feedback. We will use this as we plan for future service delivery and projects. Short-term rentals are not allowed in Edgewood and we are in discussions with the property owner. Please repair sign. Perhaps a better location at this intersection is warranted. This was the location of a fatal accident last year. Sign has been in this condition since it at March 5, 2019. The marked crosswalk for Perceptions is severely worn from traffic. Please repaint this for a visibility. The City of Edgewood wants to thank you for submitting this issue. We will review and get back to you in the near future. 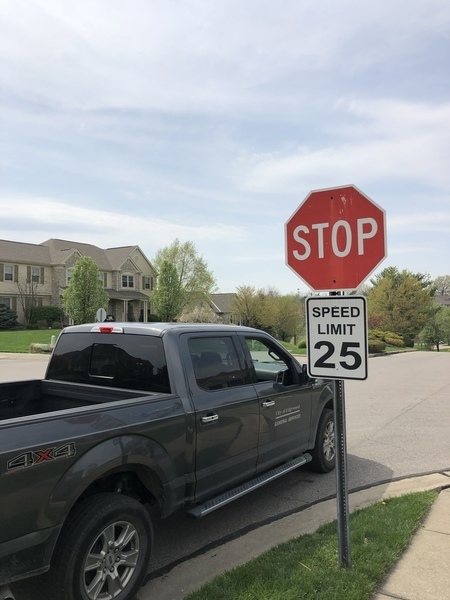 There is no speed limit traffic sign going out of the neighborhood in Prestwicke. I constantly see people speeding daily out of the neighborhood, and looking to get some enforcements installed. The only noticeable sign I’ve seen is coming into the neighborhood. People run stop signs and speed out of the neighborhood right in front of my house daily. Happy to discuss more and provide additional information. There is one sign, but another could be warranted and moved up. And possibly one of the blinking digital signs. You’d be shocked. I know there has been traffic tests coming into the neighborhood, but not going out (to my knowledge). As of 830 tonight recycling was missed yet again today on Fair Oaks Lane. This in an on going problem that does not seem to be getting resolved by Rumpke. Kelly, with Rumpke has been contacted this morning. They will dispatch a truck for pickup. I informed Rumpke that this has been an ongoing issue - which it definitely has. I am also in contact with the Operations Manager for Rumpke and the Municipal-Public Sector Representative regarding this issue. Our apologies for this inconvenience. Pothole on sidewalk in from of residence. Trip hazard. This is to request clean up of litter along the green spaces on Timberidge Dr and White Oak Dr. Banks above creek are covered with trash. The water fountain closest to Lincoln field has some issue with water leaking. It seems like it has been this way for a while. Also, the ladies restroom must have the wrong kind of lightbulbs. The heat coming from them raises the temperature in there immensely and has melted and burned the plastic covers. We are waiting on parts to fix the fountain .